Pelenna Patchworks: New Moda Marmalade fabrics and Rachels of Greenfield quilt kits available! 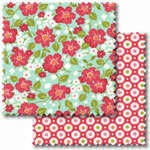 New Moda Marmalade fabrics and Rachels of Greenfield quilt kits available! Brand new to the website we have just uploaded a full range of Moda fabrics, the Marmalade patchwork collection by Bonnie and Camille. This collection is full of jewel bright colours, inspired by fruity jams, jellies and marmalades, in gorgeous florals, stripes, spots and geometric designs - perfect to brighten up the house this winter, or to get ready for spring in style! 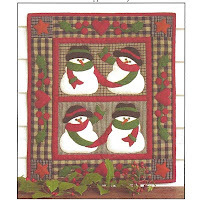 Also new, we have five additional designs from the Rachel's of Greenfield range of quilt kits, featuring owls, cats, lambs, snowmen and a little angel. Perfect as either Christmas presents for quilty friends, or to create beautiful, traditional Christmas decorations to hang up next to the tree, these kits contain everything you need to complete a lovely wallhanging.